Love Your Ego: The Path to Beauty is not Beautiful! Hi Egos! I'm back again. I've never really talked about my procedures on the path of beauty but I shall start to write about the things that I do to keep my skin healthy and my hair shiny now. Today I tried this collagen & aloe vera hydro mask. 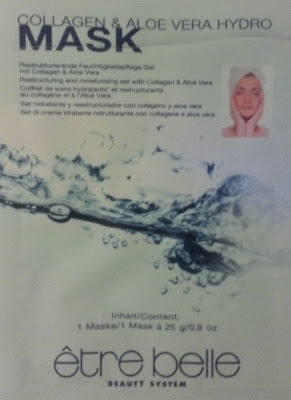 It is supposed to hydrate and restructure my skin. Apart from putting cream on my face every day and doing a peeling once a week I actually don't do much with my face. So this is something I'm trying for the first time. Keeping your skin hydrated is the only thing that I really belive in so far. There is no worse feeling than dry skin. So I wrapped the mask out of this package and put it on. There are no words to describe how much I giggled while doing it. If you see the next photo you might guess why. Raise your hand if you thought of the movie "The mummy returns" :D Anyways I put this thingy on and believe me guys this is not as pleasant and relaxing as I thout it would be. This mask is super cold because it was drained in some fluid. It seems to be working though. My skin is soaking up all of the liquid stuff. Unfortunately there was no manual. So I don't know how long I am supposed to leave the mask on but I'm guessing half an hour will do. 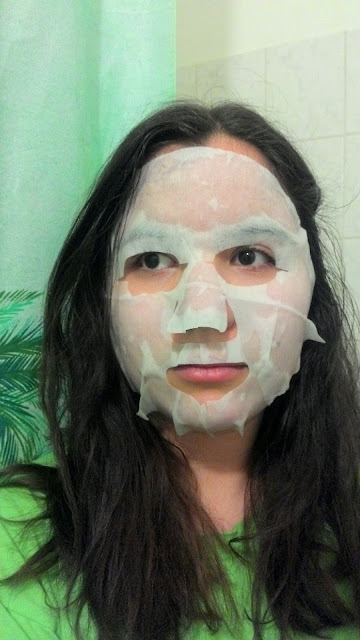 I don't know if it's just me or if anyone looks super weird with masks on but they are good for a city girl such as me. As you can see the path to beauty is not very pretty but it sure is fun. :D I haven't laughed this hard about myself for quite a while xD.